For over twenty years Pastor David Guzik has been researching each Bible Passage and creating what Thousands of people have come to know as The Enduring Word Bible Commentary. 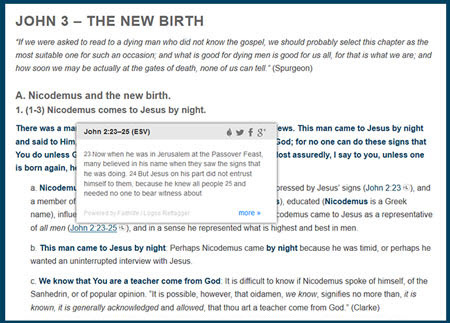 Finally, a free Bible Commentary that is easy to use and organized chapter by chapter. Each chapter is also outlined verse by verse through the whole Bible from Genesis to Revelation. Moreover, it is easy to understand and has become a daily guide to the Scriptures by Pastors, Bible Teachers, Sunday School Leaders, or for those using it for personal Bible studies. The Enduring Word Bible Commentary is structured by each book of the Bible. Also, each book is organized by chapter and verse. To help your study time, each chapter has the main point extracted from the text. 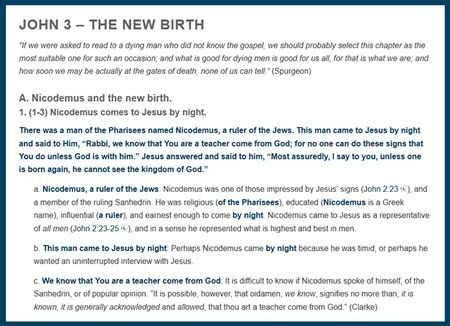 Additionally, the main point is then organized in an easy to follow outline that flows through the Bible Text. Other helpful commentary has been quoted with in the outline to help you gain valuable insight from excellent conservative Bible Commentators both past and present. To make your study time easier, each Bible Verse is hyperlinked to the English Standard Version of the Bible within your browser. In addition, for those who have the Logos Bible Software installed on their computer, you can enjoy the easy of an additional hyperlink that will take you directly into your Logos Bible Software. Just think of it, when you are using The Enduring Word Bible Commentary as one of the many tools in your study, our Bible Commentary can be integrated with your tools to expand your Bible study time. Many of the books of the Bible include the audio teachings of Pastor David Guzik. 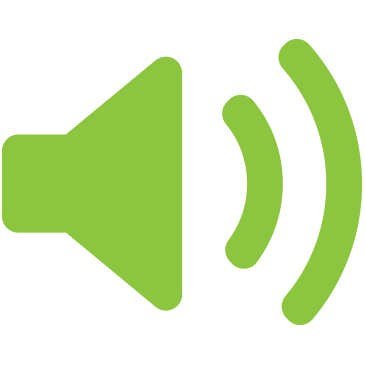 You can open the Bible Commentary and listen to audio sermon of the same passage during your Bible study time. Some of the books of the Bible include the video teachings of Pastor David Guzik. You watch Pastor David Guzik teaching during a church service to supplement your Bible study or devotional time.